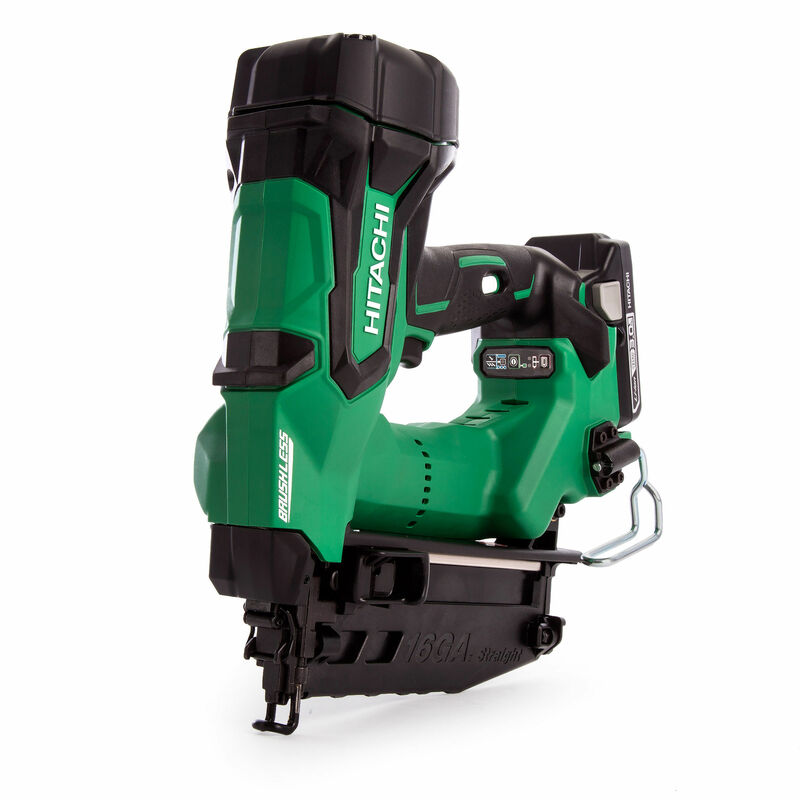 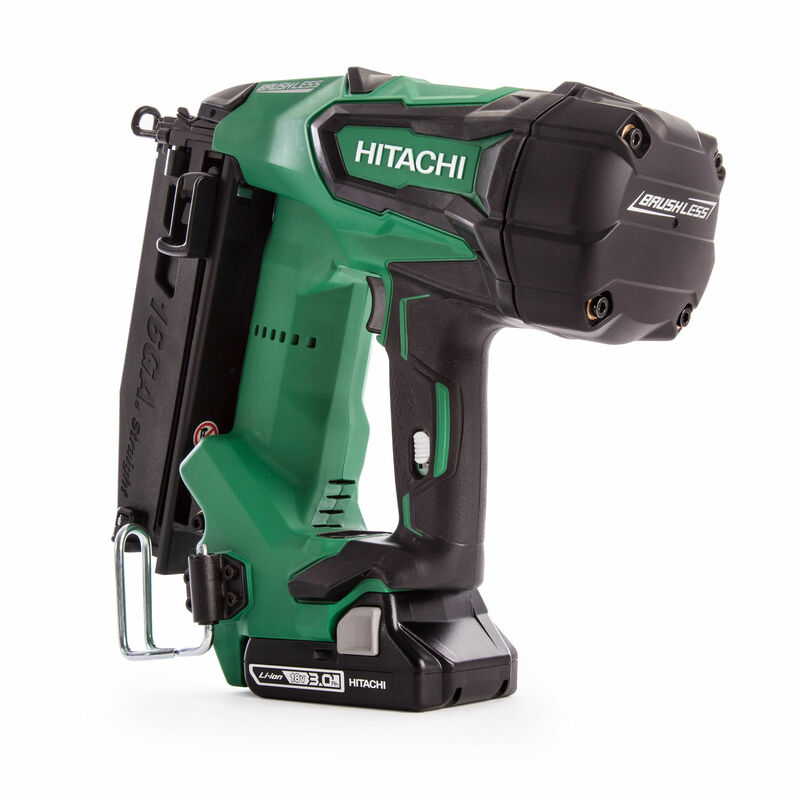 The Hitachi NT1865DBSL/JX is an 18 Volt Li-Ion Brushless 16Ga Straight Finish Nailer which has a unique air spring drive system (similar to Hitachi's pneumatic line). 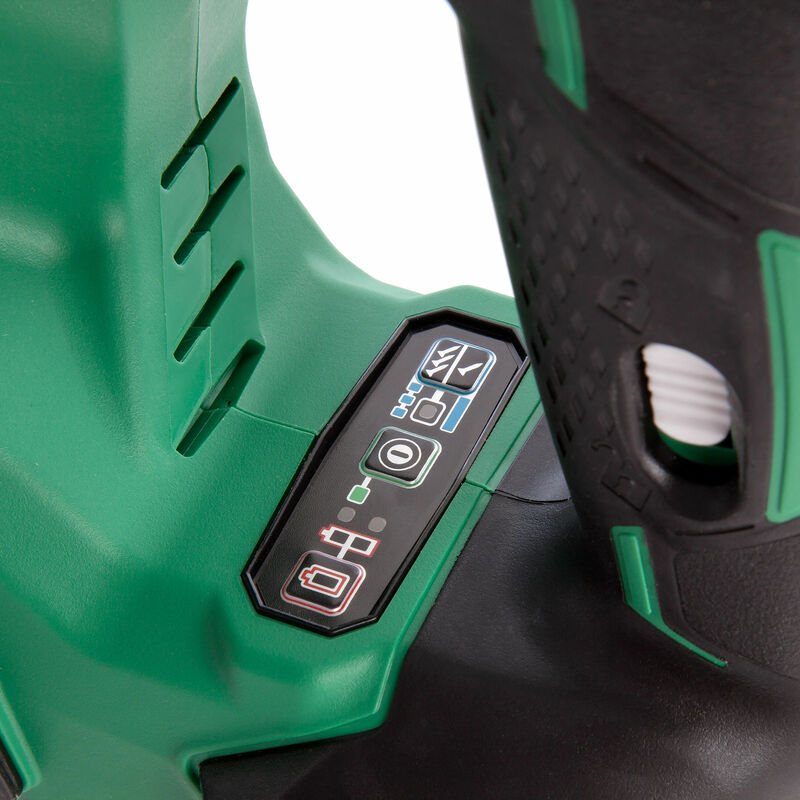 Using compressed air to drive each nail resulting in zero ramp up time and increased shooting speed. 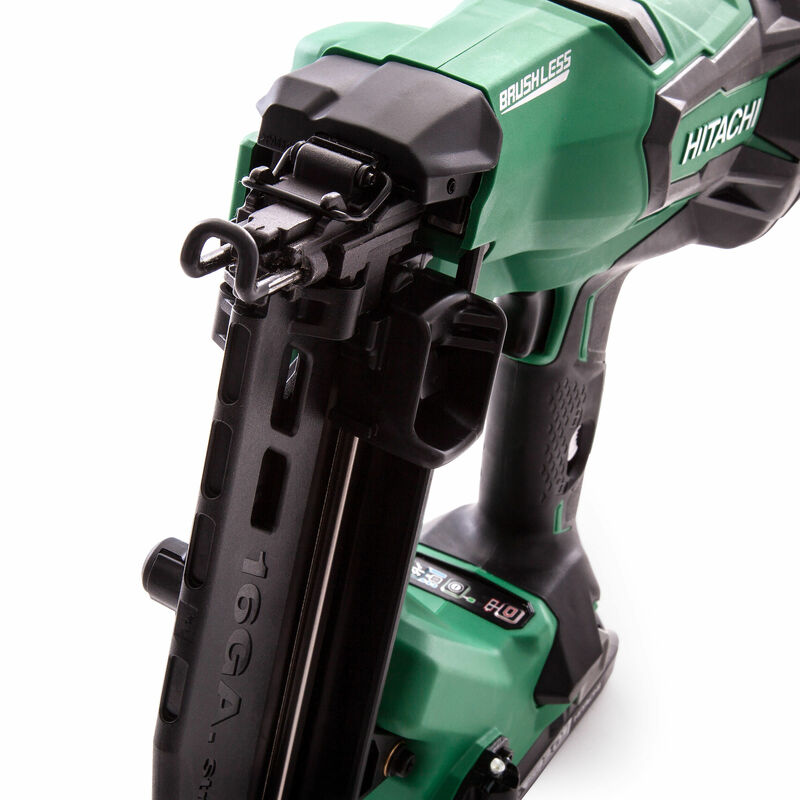 With a recoil that feels like a pneumatic nailer, quicker response time between drives, better flush driving, even at an angle and easy maintenance due to fewer parts to manage. 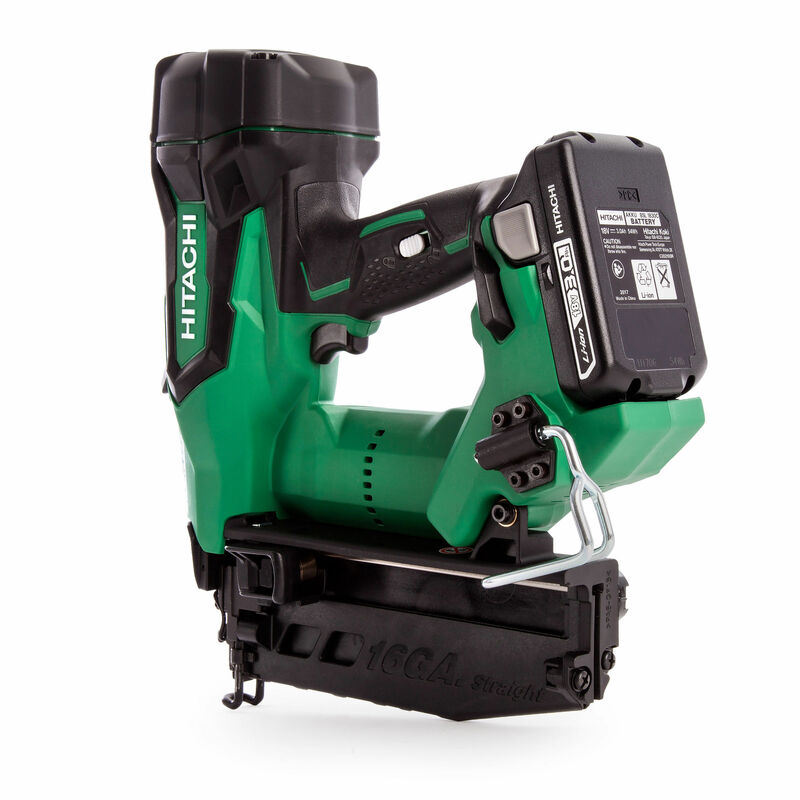 Comes with 2 x 3.0Ah Batteries, UC18YFSL Charger and Safety Glasses in a Carry Case.